I'm busy, you're busy, and we're all in desperate need of a bit of levity. Luckily, I've got something fun to share. If you follow me in Instagram, you may have seen that I got a huge shipment of goodies last week. I turned the corner into my house and saw a stack of boxes as tall as I am. I did not recall ordering a lifetime supply of peanut butter or anything, so I was excited to crack into this shipment. 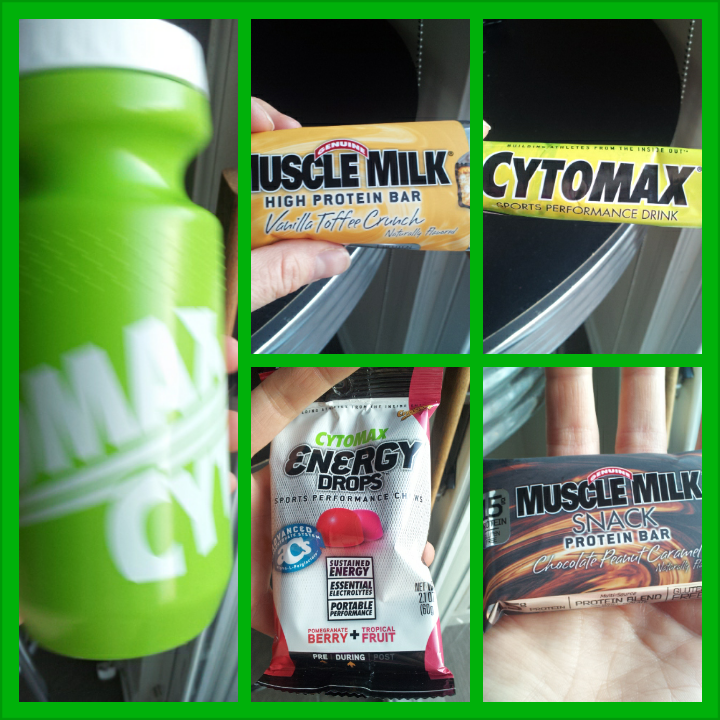 It was my Zooma ambassador welcome package from Muscle Milk and Cytomax! Because I'm as generous as they are, I'd like the share the bounty with you. This will be my first Rafflecopter giveaway, so if you have any problems, please e-mail me so I can fix it! 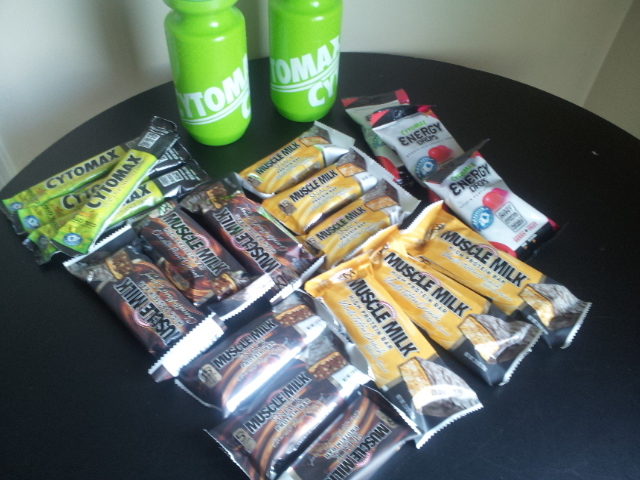 One lucky winner will receive an assortment of nutritional items, including bars, drinks and water bottles! See all those goodies? They could be yours! There are two flavors of Muscle Milk bars in the snack and regular sizes, Cytomax drops and powder to go in those new sports bottles. This contest will close on Wednesday, May 1 and the winner will be announced here. The winner has 24 hours to e-mail me and claim their prizes. A chocolate shake if my favorite post run snack. I'm going to become an ambassador to New Balance and hope for boxes of sneakers! I love hummus and tomato on an english muffin post-run. I'm not big into a snack right after, I tend to go right to breakfast - eggs on the weekend or oats during the week. Fage yogurt with some fruit mixed in. 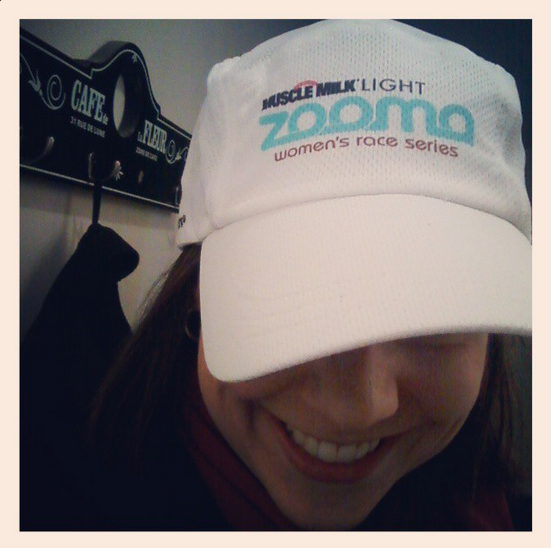 Woo, Muscle Milk! I love Muscle Milk light because it comes in so many great flavors...unlike a lot of store brand protein drinks that just have chocolate and vanilla and maybe strawberry. My current post-workout snack is Endurox R4 because it has the nice 4:1 carb:protein mix, but I definitely have some extra protein (sometimes from Muscle Milk) before bed after hard workouts. I am a muscle milk junkie. Love banana yummieness!! I am a muscle milk junkie. Banana yumminess is my drink of choice! I usually will do Greek Yogurt, or chocolate milk.